Several clips of the game against Ecuador have been published on the Argentina national football team’s Twitter. 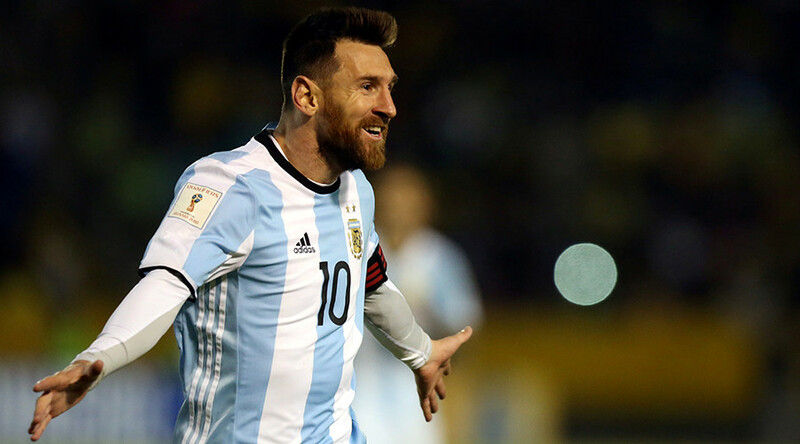 Lionel Messi, often hailed as the world’s best player, scored a hat-trick that took Argentina to next year's World Cup finals in Russia. Messi was on target as Argentina came from 1-0 down to secure a 3-1 win against Ecuador in Quito. — Selección Argentina (@Argentina) 11 октября 2017 г. — Selección Argentina (@Argentina) 10 октября 2017 г. The victory secured third spot in the South American qualifying group and automatic passage to Russia 2018. Uruguay beat Bolivia 4-2 to guarantee second place, behind group winners Brazil, who defeated Chile 3-0. That result meant Copa America champions Chile, who reached the final of the Confederations Cup in Russia in July, finished sixth in the group and missed out on a place at world football's showpiece event next summer. Peru and Colombia drew 1-1 in Lima, meaning they finished fifth and fourth respectively. Colombia proceed directly to the World Cup, while Peru will need to negotiate an intercontinental play-off against New Zealand.